Performance Auto Sound 509-452-0406 in Yakima makes locking and unlocking your car or truck as easy as touching a button! Oh, there is nothing quite like getting into an already warmed car out of the frosty snow or chilly morning air. It is such a joy to avoid chipping ice off the windshield because the car has already done that work for you by warming up completely. Living in Washington, there are more cold and frosty days than warm summer days (at least it feels this way during the winter, doesn’t it?). 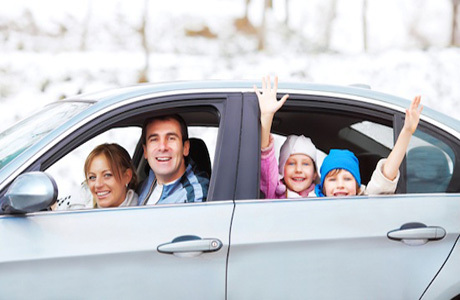 Having a professional at Performance Auto Sound in Yakima, Washington install a remote car starter will help your car get warm and toasty before you even leave your house, the store, or parties. A remote car starter is just the luxury you’ve been missing! Call us today, to change your winter and get your car starter installed. 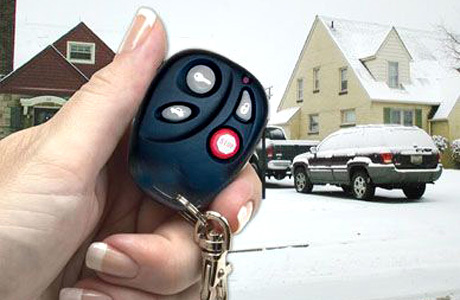 Besides the self-satisfying reasons to own a car remote starter, cars also benefit from you owning one. In the dead of winter, the car engine is extremely cold, and while it will turn over and get the car ready to drive, a warmed up engine will run smoothly in the winter, while a cold one is still very stiff because the oil hasn’t warmed up yet. Having a car remote starter will allow your car to warm up inside the cab and in the engine, too. This will elongate your cars engines life and will keep your car running smoothly in the winter. Another benefit to owning a car remote starter is that it can be fitted with two other options for your car: keyless entry and keyless security. 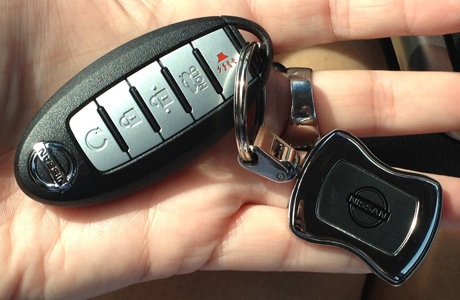 The key fob containing the remote starter can be fitted to have a keyless entry button as well. This button can unlock your driver door, unlock the passenger doors, and unlock the trunk of the car. There can also be a locking door button, which has the option of locking the driver side door and the passenger doors. When each of the buttons is pressed, a chirping sound will emit from the car, letting you know if the car is securely locked. This keyless entry system proves extremely useful when you’ve forgotten where you parked, as the chirping noise will direct you to your car with ease. This means that you will no longer search for your car in the mall parking lot ever again! At Performance Auto Sound in Yakima, Washington we use the most technologically advanced keyless entry systems. Our team would love to help you through all of the features available with your installed keyless entry system. If you have a smart phone, we can also discuss installing the system to work through your phone, so you are never without your “keys” again. Droid phones, i phones, and other smart phones can be compatible with a remote car system, too. Call us today and we can discuss the possibilities with you. We can even test your keyless entry system with you to make sure all of your questions and concerns are met with security and complete comfort. Performance Auto Sound 509-452-0406 keyless entry system, remote car starter, smart phone entry, i-pod car entry, Droid car entry, remote entry system Selah WA. Wapato WA. South Broadway WA, West Valley WA, Terrace Heights WA, Gleed WA, and Terrace Heights WA.